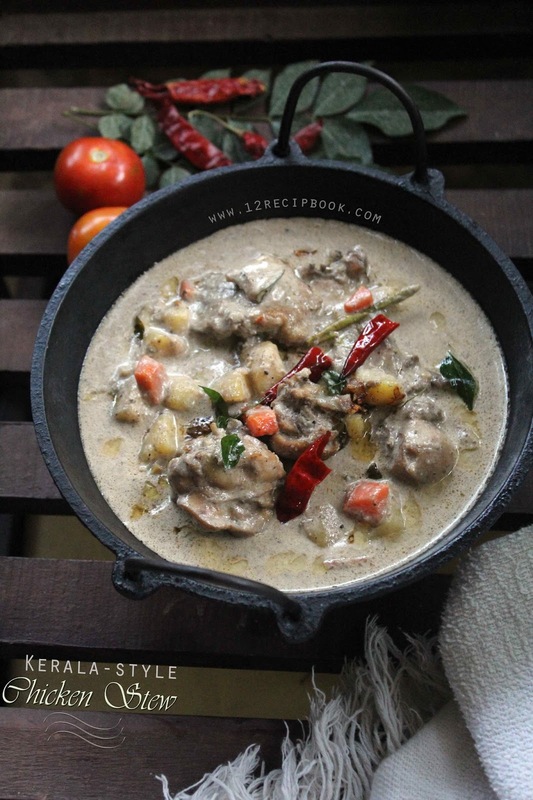 Kerala Style Chicken Stew is a delicious creamy curry with chicken, potatoes and carrots. 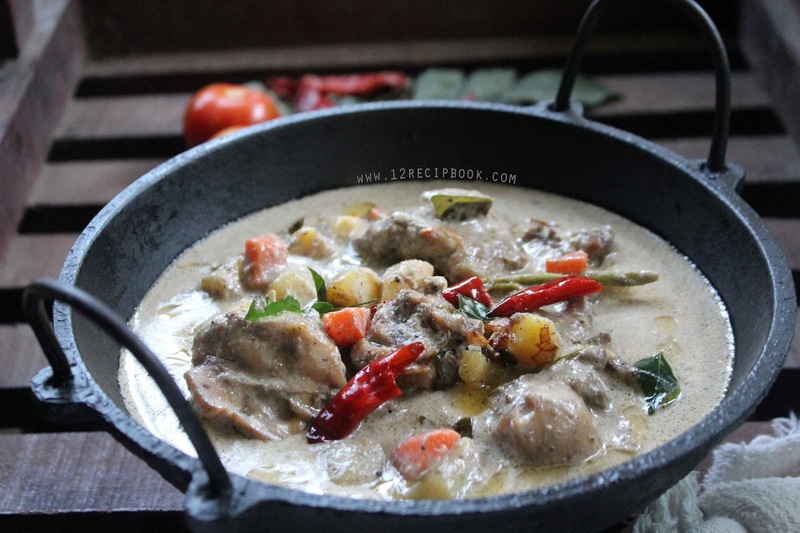 It is a great combo with Appam and idiyappam. Here is the recipe and video of making easy chicken stew; Try it out and leave your feedback here. Heat a pan with oil; add chopped ginger and garlic. Saute until nice golden in color. Add sliced onions and saute until soften. Add sliced tomato and saute for a minute. Add pepper powder, garam masala, curry leaves and green chilly; mix well. Add cleaned chicken pieces and salt; Saute for 5-6 minutes or until the color of chicken turns to little dark. Add thin coconut milk ad cover cooks for about 6 minutes. Open the lid and add chopped potato and carrots. Mix well and cover cooks for another 10-15 minutes or until the vegetables and chicken pieces are cooked well and absorbs all the thin coconut milk (stir often by opening the lid to avoid burning). After that add thick coconut milk and turn off heat when the curry starts boiling. Heat a tadka pan with oil; fry the shallots chopped until nice golden in color; add dry red chilly and curry leaves. Pour the seasoning over the curry and mix well before serving.